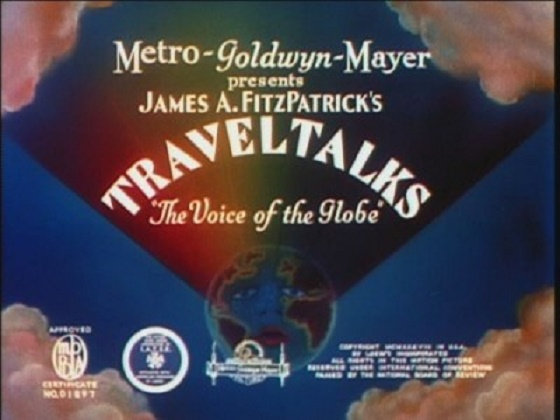 Sydney Pride Of Australia ( 1938 ) is a technicolor travelogue short from James A. Ftzpatrick's Traveltalks series released by MGM. 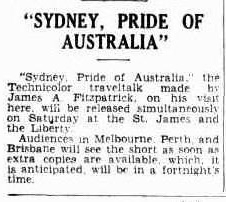 Newspaper coverage above from Sydney December 1938 and Katoomba January 1939. 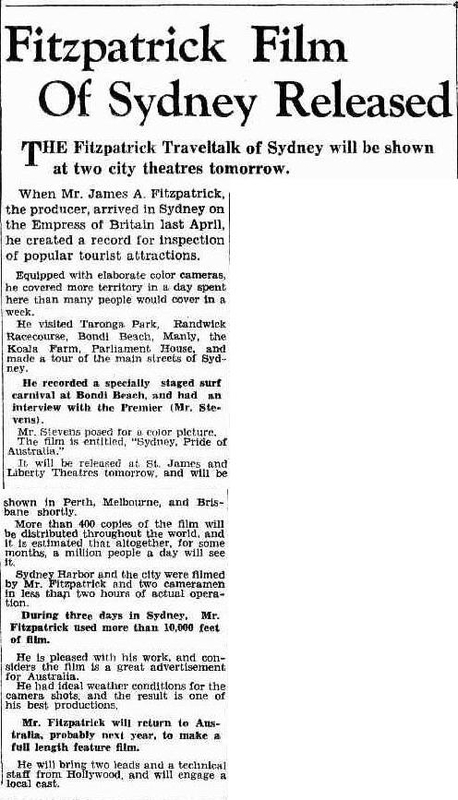 I thought Australian members may be interested in being made aware of this film and that there was an Australian one sheet printed for this title. 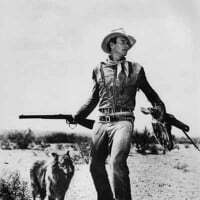 At a Christies auction held in Melbourne on the 20th February 1994, titled ''Movie Posters Including The Bill Collins Collection Part 11, a copy of this poster sold for $300. Sorry there wasn't an image included in the catalogue. The estimate in the catalogue was $150-$180 and sold for $300. Twenty four years on if it were to be offered for sale again it would have to attract a much higher price due to its rarity.